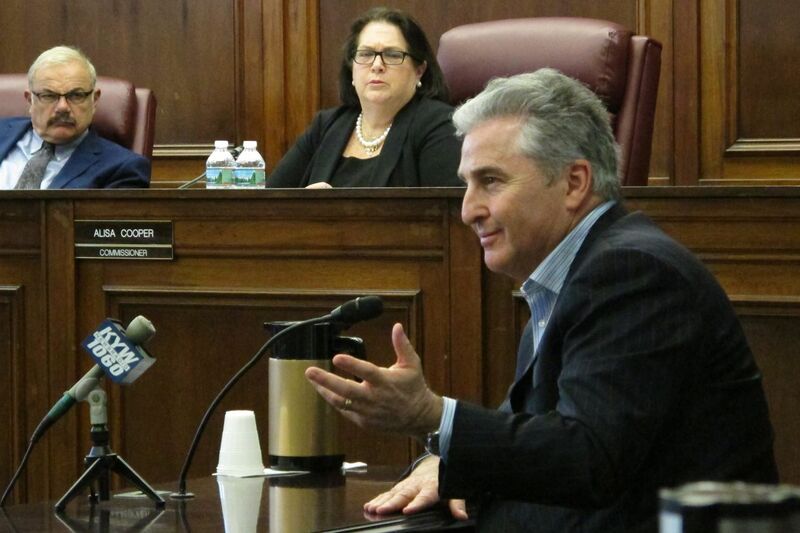 Bruce Deifik, owner of the Ocean Resort Casino, testifies before the New Jersey Casino Control Commission on Wednesday, June 20, 2018, seeking a casino license for the former Revel casino, which plans to open on June 28. Bruce Deifik, who blew through $70 million of his money reopening the former Revel casino hotel in Atlantic City as the Ocean Casino Resort, died over the weekend of injuries from a car crash in Denver, according to reports. Deifik lost his stake in the property in January after the hedge fund Luxor took control of the property, which Deifik purchased from Florida investor Glenn Straub for $229 million. The casino closed in 2014 after a series of bankruptcies. Deifik, 64, was to face a hearing Wednesday in Atlantic City in front of casino regulators, who were seeking to strip him of his key casino license because of allegations of sexual harassment by female employees of Ocean Resort Casino. The Denver Office of the Medical Examiner confirmed only that Deifik had died. “Our office did conduct an autopsy on Mr. Bruce Deifik, however his autopsy results are pending investigation,” Steven Castro, manager of operations for the Medical Examiner’s Office, said in an email Monday afternoon. His lawyer, Paul O’Gara, told the Associated Press that Deifik was killed in a single-car crash Sunday while driving home from a Colorado Rockies baseball game in his hometown. Diane Spiers, vice president of marketing at Ocean, released a statement sending thoughts and prayers to Deifik’s family. At the time the harassment allegations were made, Deifik had been living and working at the casino, according to a report filed by the state Attorney General’s Office, which said Deifik had agreed to stay in his hotel quarters after 9 p.m. while the allegations were being investigated. He had since returned to Denver. After Luxor took over the property with intentions to invest about $70 million in upgrades, Deifik’s involvement with Atlantic City ended. Separately, about 100 nonunion administrative staff were recently laid off at Ocean, according to sources. The property employs about 3,000 people, including about 1,200 members of the Unite Here hotel workers union. Deifik had testified before regulators that he invested in the property without ever visiting Atlantic City. He hoped a personal touch would transform the failed Revel into a friendly maritime-theme resort. For months before the reopening, Deifik lived at the Tropicana, and described walking the Boardwalk at 3 a.m. filled with ideas about reinvigorating the casino.